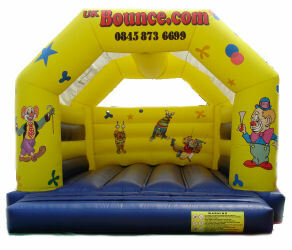 A great enclosed castle suitable for adults and children with a fun Simpson's theme. A great sized and bright and fun castle with built in shower cover. A massive adult castle great for every summer party.